The Paterson Parking Authority racked up $72,000 in legal expenses in its eminent domain battle for the properties of Levine Industries in South Paterson for a parking deck project. A judge ruled against the Paterson Parking Authority in early January, leaving the agency to pick up Levine Industries’ legal tab. “We’re asking for $23,000 in legal fees,” said Richard De Angelis, attorney for Levine Industries. De Angelis has filed in court asking the judge to award attorney fees. New Jersey eminent domain laws state that if the government loses in its effort to condemn a property the owner is entitled to legal fees, he said. But the Paterson Parking Authority is appealing the judge’s ruling, said the agency’s director Tony Perez. Perez said appeal will cost approximately $15,000. He said he could not further comment on ongoing litigation. Jeffrey Levine, who runs the Levine Industries with his uncle, Theodore Levine, which makes boxes and packaging materials from its almost 3-acre site on the corner of Courtland and Levine Street, criticized the Paterson Parking Authority for spending taxpayer’s money to fight his family. Levine said the Paterson Parking Authority is wasting taxpayers’ money at a time the city is raising taxes. Mayor Andre Sayegh is hitting property owners twice with a 2-percent tax increase and a sewer fee hike. On top of the municipal tax increase, superintendent Eileen Shafer and the school board are hitting homeowners with a 14-percent tax increase. Sayegh did not respond to a request for comment. “Our taxes are higher than Franklin Lakes,” said Levine. It’s difficult to reach a settlement as the Levine family has no interest in selling their entire property. De Angelis said the property isn’t for sale. The Paterson Parking Authority offered to pay $1.15 million for the three industrial warehouses and one office building. But the offer was rejected. The authority is looking to construct a 900-space parking deck at the site, close to St. Joseph’s Regional Medical Center, using some of its $130 million state tax credits. 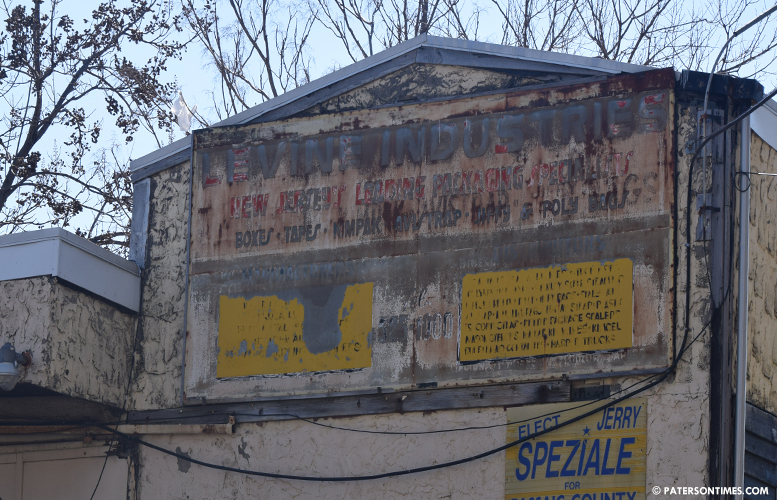 The Levine family has been doing business from the location for 143 years.